Such a busy week this is. Thanks for a one day rest, I have time to take care of my blogs. Colegio de San Lorenzo (CDSL), Quezon City, is celebrating its 25th year. In celebration of this milestone, there are many activities lined up for students and parents. I was really curious at how things will run. 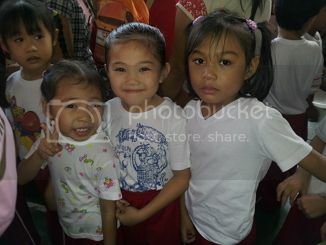 I have been to a big school and foundation week is a blast for everyone. While CDSL is a big school, the space it has is really limited. The parking alone can break your day when there are school-wide activities. 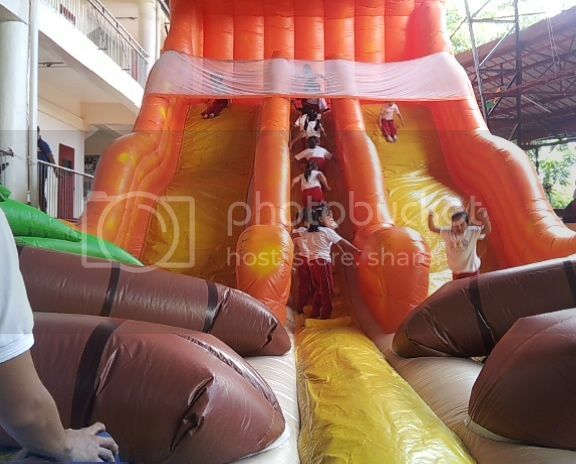 There was a huge inflatable slide that even a grade six enjoyed. There was the HIT flying swing (similar to Enchanted Kindom’s flying fiesta, only smaller). There were a handful of stalls that offer games much like in a town fair. There was an area where make-shift bump cars can be used. Then there was a stall that sells figurines made from plaster of paris which can be painted. Students were given a letter about the ticket, priced at PhP130 each. 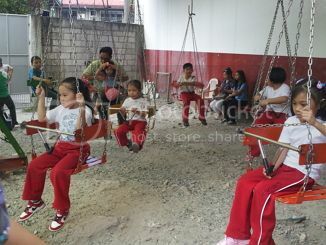 It was not mandatory but you would not want your kid to miss the experience with the rest of his/her classmates, right? The tickets are valid for three rides and 1 play in the town fair stalls. The rides available are: make-shift bump car, flying swing and inflatable slide. Finally! Ang bagal nga lang umakyat ni Alex, mukhang inip na yung iba sa likod. There was no rule where to go next so we decided to go for the flying swing. For our kids to be able to ride, there should be 24 kids in the line as the operator cannot mix the small kids with the bigger ones. Magkaiba kasi sila ng intensity sabi ng operator. Anika, Alex and Hannah in the flying swing. Super excited si Alex habang ako kinakabahan kasi hindi pwedeng basta itigil ang pag-ikot porket ayaw na nia dahil nahihilo xa or whatsoever. 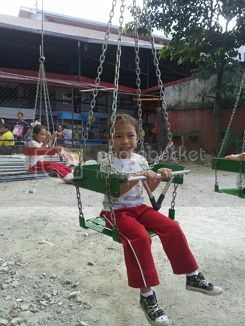 Gelo, Anika’s baby brother, also enjoyed the ride. Visitors can also use the rides provided they have a ticket. Kung alam ko lang andun si Gelo, isinama ko si Maxyn! Surprisingly, Alex enjoyed the flying swing so much! Nagrereklamo pa xa kasi ang bilis daw matapos! I brought her to the make-shift bump car and she did not like it. She asked if she can use the remaining ticket in the flying swing. She did not want to go back to the inflatable slide because she kind of injured herself. Bigla xang tumaob tapos natukod nia yung right arm nia. Buti hindi napilay. So we went back to flying swing for a second round. Na enjoy nia talaga! Hindi naman halatang sobrang excited at enjoy ka, anak. After we used up all our tickets, everyone was free to go home. No classes that day, just play. Sabi nga ni Mama Fe ko, the perks of enrolling Alex to a big school. Hi there to every body, it’s my first visit of this website; this blog contains awesome and truly fine stuff designed for readers.